After hinting that they’d be working together soon, Dave Bautista has closed a deal to star in Zack Snyder‘s zombie heist movie Army of the Dead at Netflix, Collider has confirmed with sources. Snyder came up with the story and co-wrote the script with Joby Harold and Shay Hatten. Set in the middle of a zombie outbreak in Las Vegas, the story follows a group of mercenaries who venture into the quarantined zone to pull off the greatest heist ever attempted. Snyder and his wife, Deborah Snyder, are producing via their Stony Quarry banner along with Wesley Coller. Netflix executives Ori Marmur and Andrew Norman will oversee the project for the streaming service. Production is slated to start this summer, and the budget is expected to be around $70 million — more than double what his 2004 zombie movie Dawn of the Dead cost. 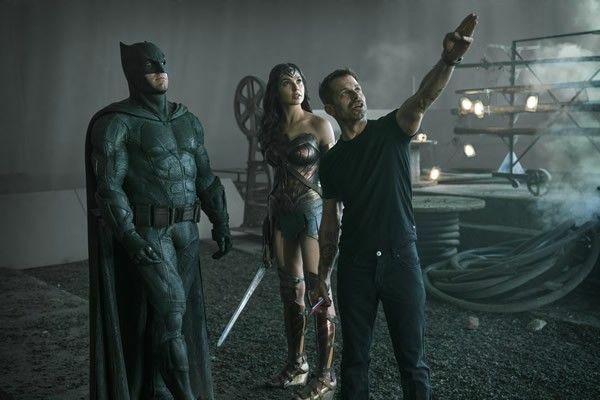 Of course, that was to be expected given Snyder’s blockbuster credits like 300, Watchmen and Batman v Superman: Dawn of Justice. Bautista is absolutely blowing up as a movie star thanks to his massive physique and his emotional sensitivity. You may laugh, but I think he’s a solid actor who is very much in touch with his feelings, not just some lunkhead wrestler. Not only is he filming Denis Villeneuve‘s Dune reboot and coming back for Marvel’s Guardians of the Galaxy Vol. 3 now that James Gunn has been reinstated as its director, but he’s also being eyed to star in Gunn’s Suicide Squad sequel. That may no longer happen depending on Snyder’s shooting schedule for Army of the Dead. 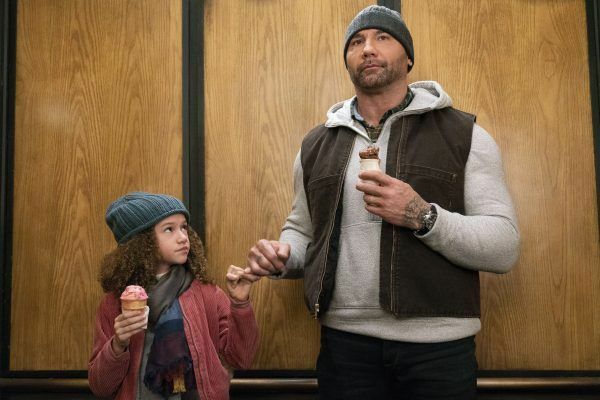 In addition to all of that, Bautista he’s also heading to Wrestlemania 35 this weekend to battle Triple H.
Outside of the ring, Bautista will soon be seen reprising his role as Drax in Avengers: Endgame, and he’ll also star opposite Kumail Nanjiani int he action-comedy Stuber, which hits theaters this July. Bautista has also wrapped STX’s My Spy, which just debuted its trailer online, and the action sequel Escape Plan: The Extractors. He’s represented by CAA and Meisner Entertainment Group, and Deadline broke the news of his official casting. Netflix had no comment. For more wrestling-related coverage, visit our partners at ProWrestlingSheet.com. ‘Avengers: Endgame’: Seriously, Who Is that Kid?